If you are moving to Canada with family, you must be confused thinking as to which visa shall suit you the most as a skilled immigration applicant. The Immigration Refugee and Citizenship Canada (IRCC) have designed several immigration programs and visa categories based on the immigration type, need, duration and category. Let’s take a look at few of such immigration programs or visa categories of Canada. Parent and Grand Parent Visa (PGP) – It allows the Canadian citizens and permanent residents to sponsor their parents and grandparents to Canada, after meeting the basis criteria, such as income requirement, etc. Work Permit– It allows skilled Immigrants to live and work in Canada on temporary basis for up to four years. However, you first need to get the LMIA approved job offer from Canada to apply for this work permit. Study Permit- The study permit has been designed for the international students coming to study in Canada. Based on the given conditions, overseas student are allowed the work with study options as well. Working Holiday Visa- Working holiday visa is designed for the youngsters who want to work and holiday in Canada for a limited period of time (usually 1 year). Hence, you must choose the right one among the same to ensure timely and hassle-free immigration to Canada. Since, you are moving to Canada with family, you must have plans to live and work Canada either permanently or for a long period. Hence, the Canadian Permanent Residency Visa would be the ideal option for you. Canadian Permanent Residency (PR) Visa is the permanent visa that allows you and your family members to live, work or study in Canada. Once you have spent sufficient time in Canada on PR visa, you can apply for Canadian citizenship as well. Get the Health care and other social security benefits in Canada like similar to citizens of Canada. There are several immigration programs that offer PR in Canada, i.e. Express Entry System, Provincial Nominee Program, Quebec Skilled Worker Program, etc. 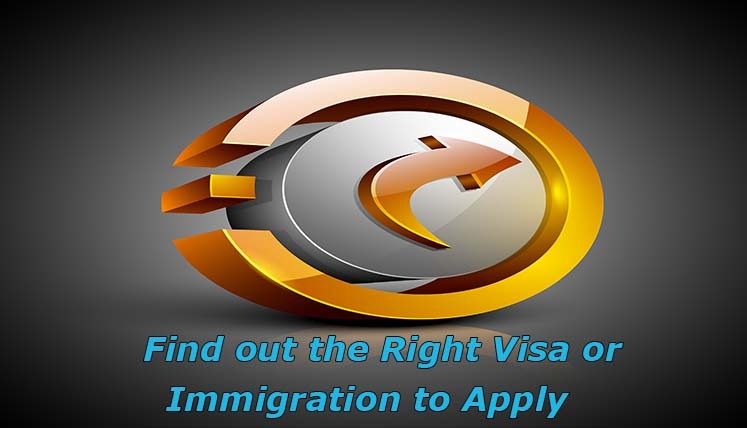 How to get key assistance to choose the right immigration program and apply for Canadian PR? If you are willing to move to Canada with family, you must do key preparations well in advance in coordination with a reliable and genuine Visa Consultancy Service. The year 2017 is going to be excellent for the Canada immigrating aspirants due to the considerable increase in the economic immigration program of Canada. To get your eligibility checked for relevant immigration program and get your immigration file ready, you may get in touch with Visas Avenue Immigration. The Visas Avenue immigration is the reputed Immigration Consultancy Service for Canada with years of experience in different Canada immigration programs. To discuss your immigration plan, call the expert at Visas Avenue on 011-48447777, 011-46194650 (Delhi), 040-42467777 (Hyderabad), or 080-46668222 (Bangalore) or email your query to email id of Visas Avenue, i.e. info@visasavenue.com.